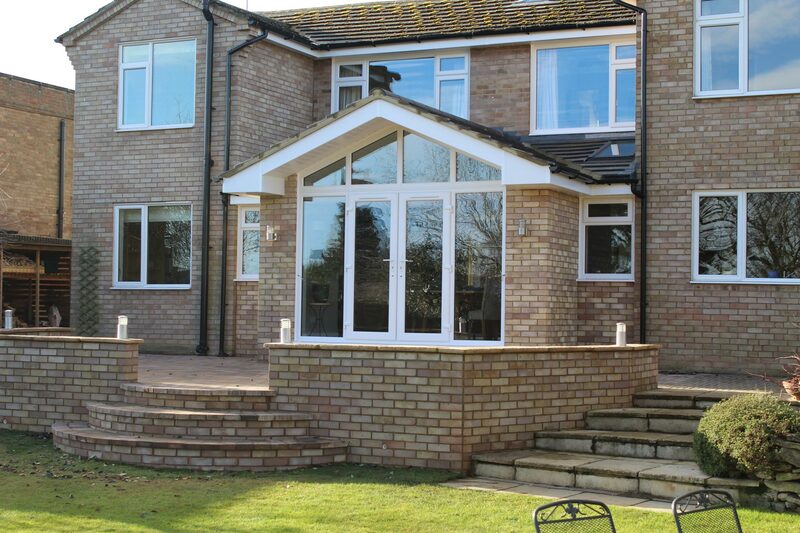 Earls Barton Building Company offers a wide range of services upon which we have built a solid and sound reputation. 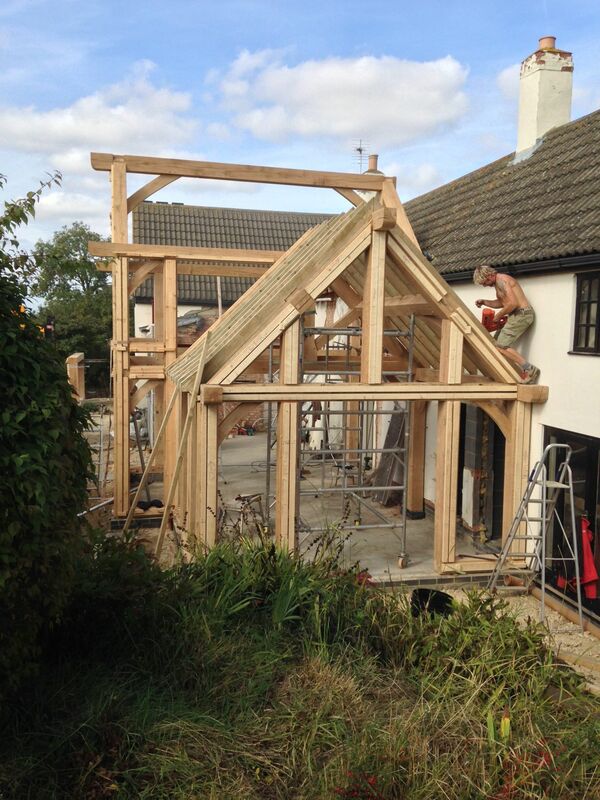 Extensions, conversions, restoration and refurbishment make up the majority of our work. We pride ourselves on delivering a high-quality service, from initial contact through to final completion. 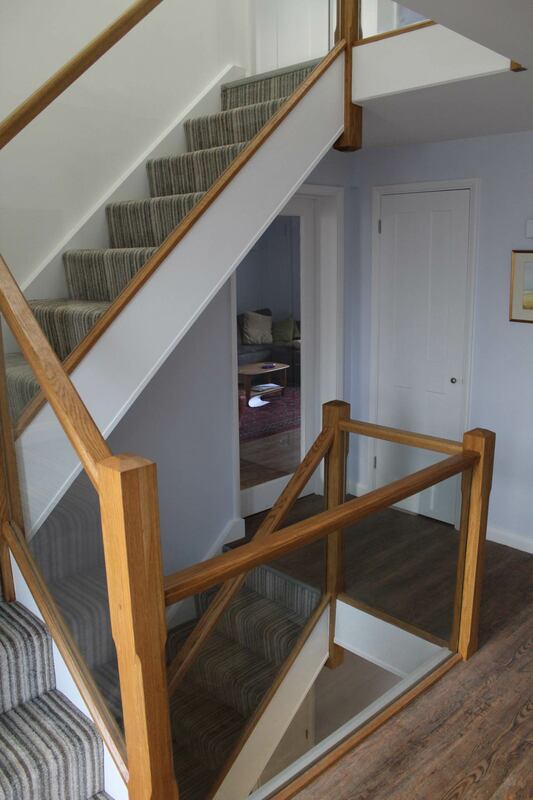 For the larger contract’s, we offer: full project management with regular meetings updating the client on progress; timings and any matters that arise during the project; concept to completion; projects range from new skirting around a room to refurbishments and large construction works. 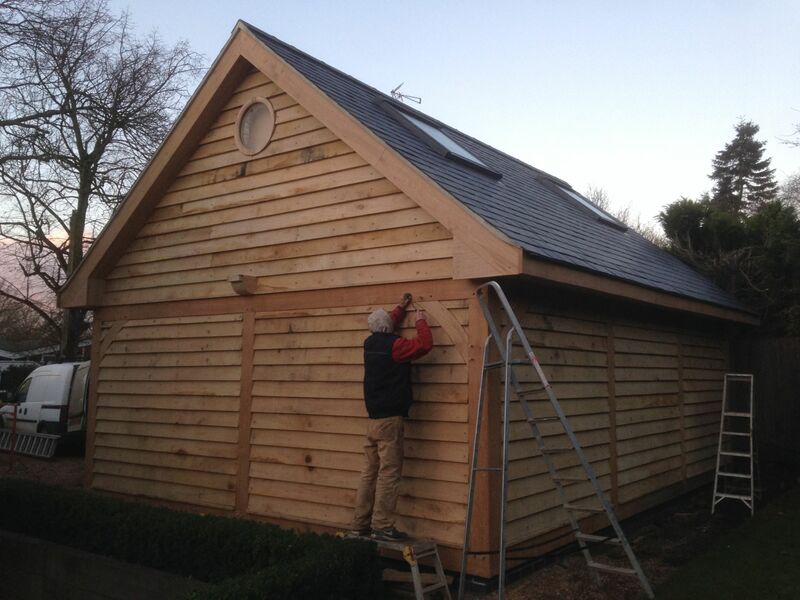 However simple or complex Earls Barton Building Company can help. 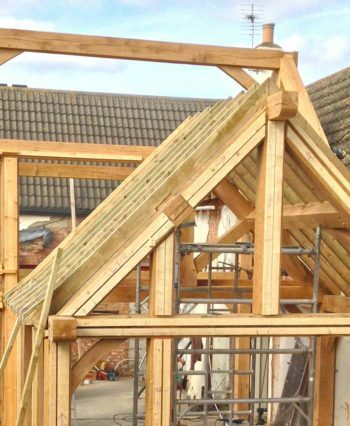 All of our tradesmen are qualified and have been with the company for many years, receiving ongoing training to further develop their skills and knowledge, to ensure we maintain and meet ever changing building regulations. We have a Health and Safety Policy and can produce a CPP on larger projects. Certification of Public Liability Insurance is available upon request. We can also provide: a design and build service; structural and architectural drawings; planning and building control applications. 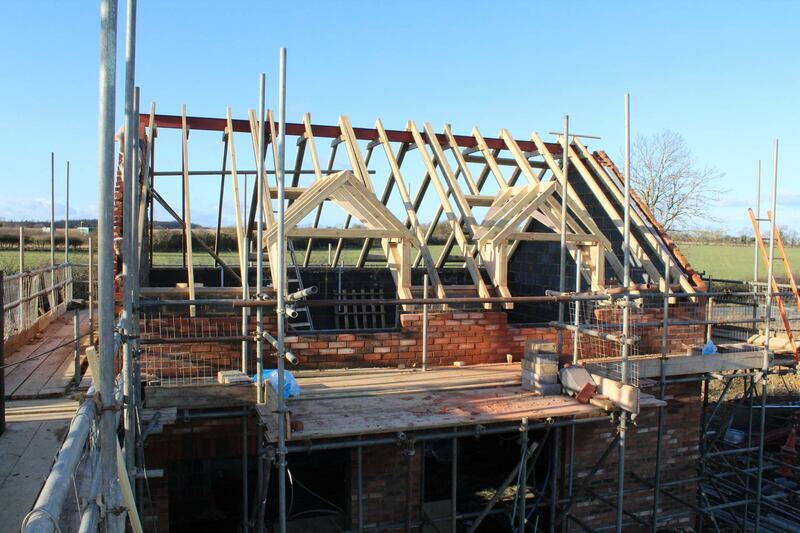 We at Earls Barton Building Company feel that trust, honesty, quality and reliability are what every customer is looking for when they instruct a contractor to carry out any building works. Converting your loft from just somewhere the Christmas decorations & suitcases live into a warm habitable room can extend that space into a study, playroom or that much needed extra bedroom with integrated storage space. The Garage can also be an excellent way to enhance your property and create more living space for you and your family. A Utility room perhaps or a play / TV room for the kids. The possibilities are endless. 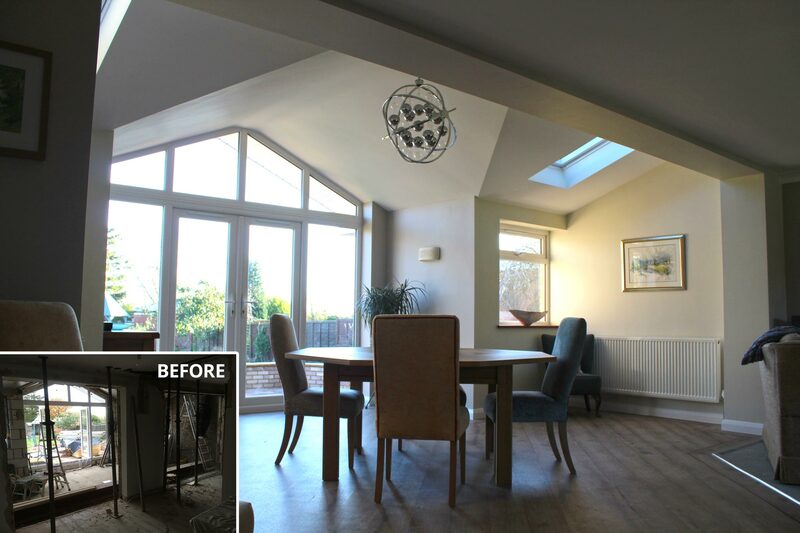 Having a loft or garage conversion is a great way of adding value and space to your property without having to spend a fortune or move from the house you call home. 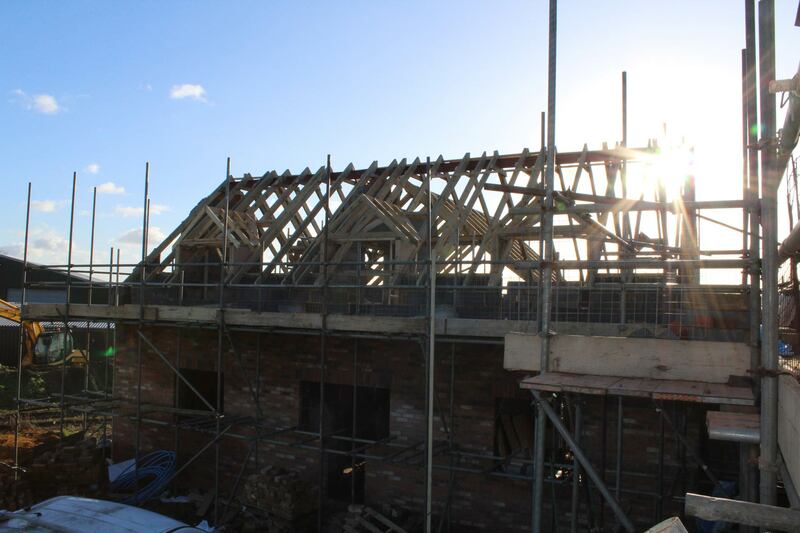 In the majority of cases, no planning permission is required and the work is carried out under Building Regulation Consent. Need to improve the flow or layout of your home? 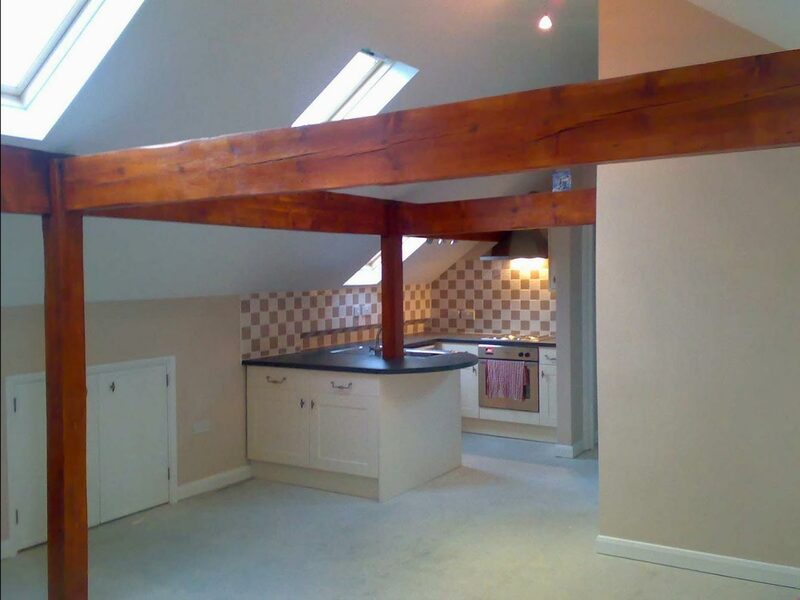 By removing just one internal wall, this can provide a much more usable space. 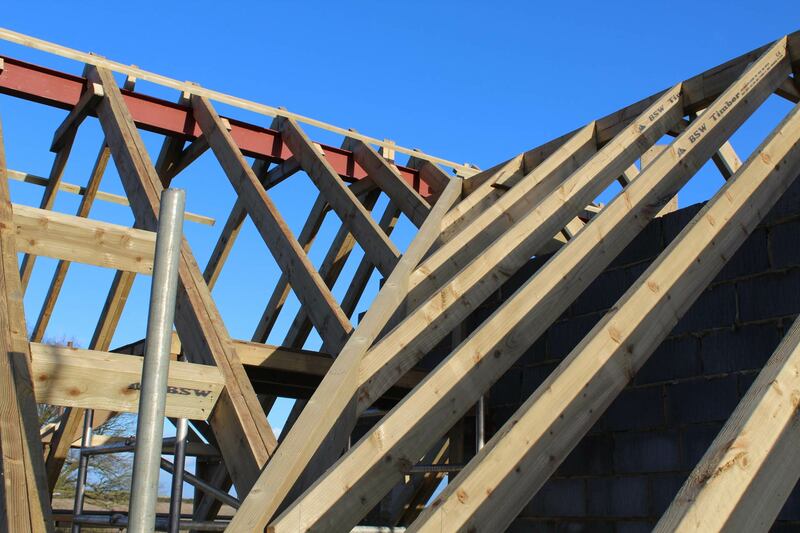 Working closely alongside Structural Engineers and Building Control, there are very few walls within your home that cannot be supported and removed. 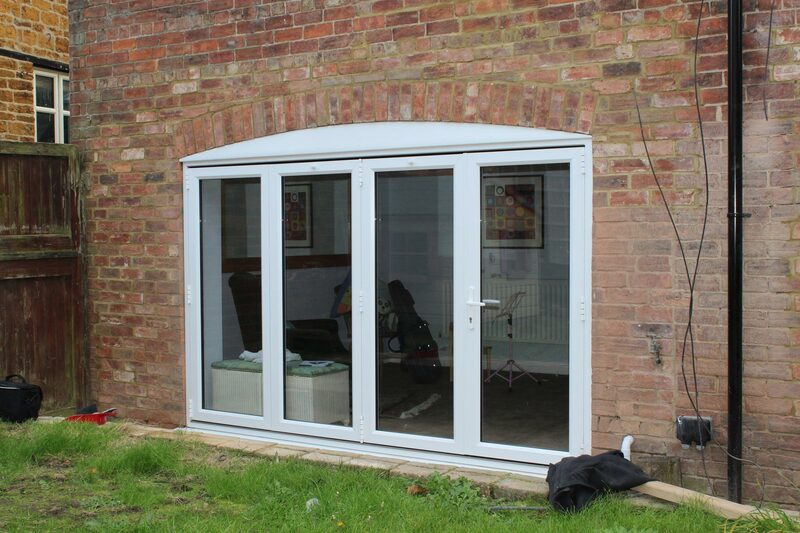 This can allow folding doors onto the garden, or creating a kitchen, dining and family space. 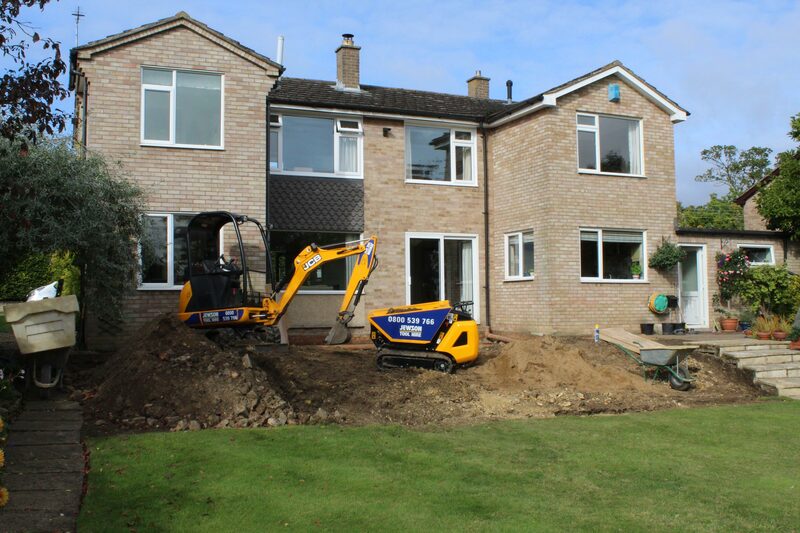 Get in touch to discuss improving your home layout! My company employed The Earls Barton Building Company to complete the complex refurbishment of a large detached 4 bedroom property. 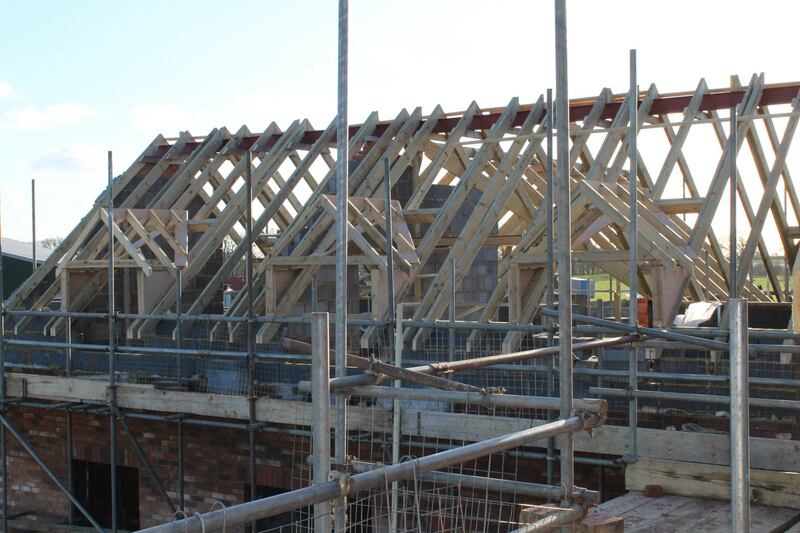 The project included the demolition of poorly constructed single storey extensions previously built, to be replaced with single and double storey extensions and also a separate classroom block. The grounds of the property were cleared, fenced and a car parking area formed. 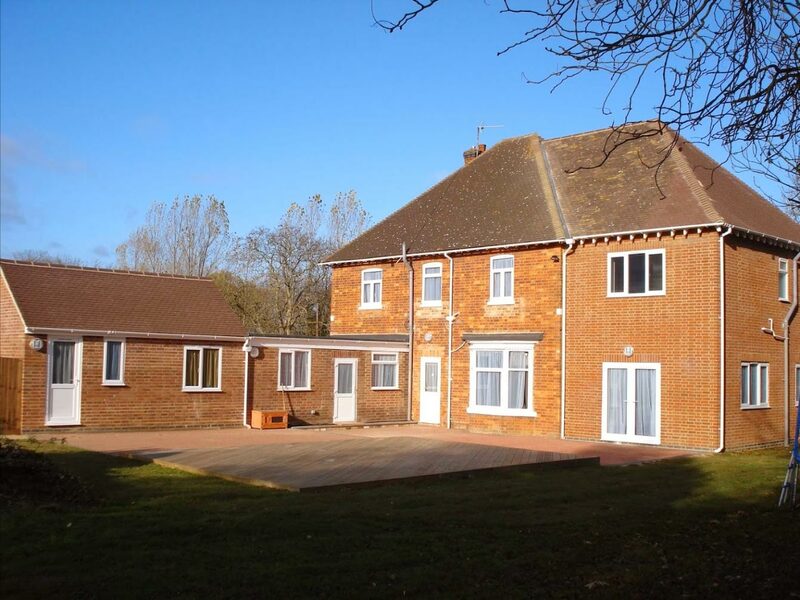 Internally the property was completely ‘gutted’ and refitted to a very high standard. During every aspect of the job I was kept fully informed and consulted and would recommend John and his company with the highest confidence. John Elderton and his young team have an approach to business which is now all too rare. They take genuine pride in their work and bring Master Craftsman skills to even to most mundane jobs. They do not rush work at the expense of quality, yet they are very competitive in their pricing. 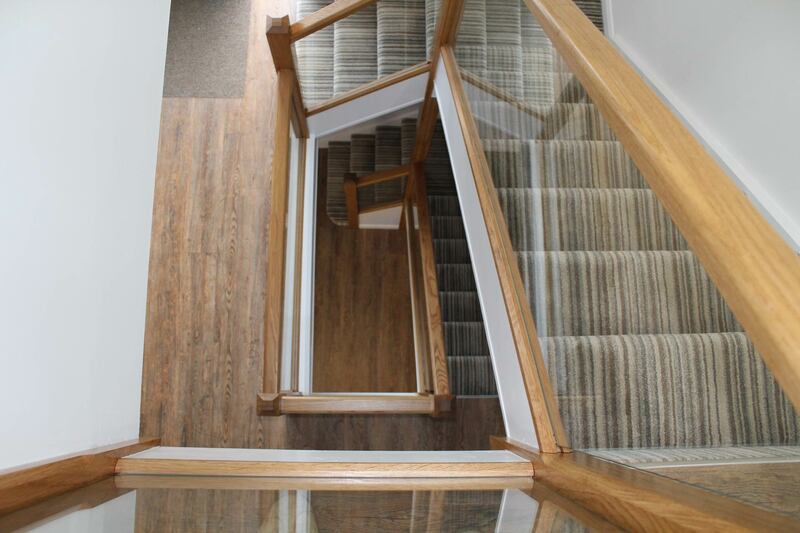 Their professionalism runs throughout the whole process from supplying quotations to good timekeeping through to leaving the work area clean and tidy at the end of each day. All this delivered in a cheery and courteous manner. I have recommended the Earls Baton Building Company to others seeking good work, many times, and continue to do so frequently. 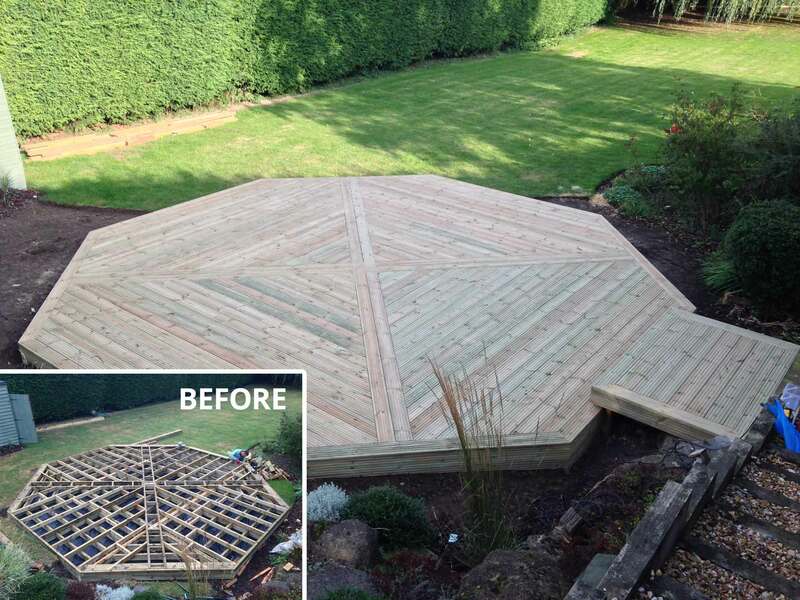 We have worked with John and Earls Barton Building Company on numerous occasions. John is more than just a builder – he is a craftsman and has done some bespoke projects for us – helping to make our initial ideas come to life. For our next project, a large extension, there is no one else we trust to deliver me our build on time, on budget and most importantly with the quality finish you want and expect. The refurbishment you did on the summer house was excellent but unfortunately, the leak to the rear of the garage roof has not been completely rectified, when we have very heavy rain some water still encroaches – I have not informed you about the matter because I cannot think what else you could have done. In general terms, I found your service extremely friendly & efficient and I would most certainly ask you to quote for future works because I consider your company to be hard working, honest and with the right degree of flexibility in the day to day working proceedings. During the last two years, The Earls Barton Building Company have carried out numerous jobs on our old listed building, which had not been very well maintained by the previous owners. 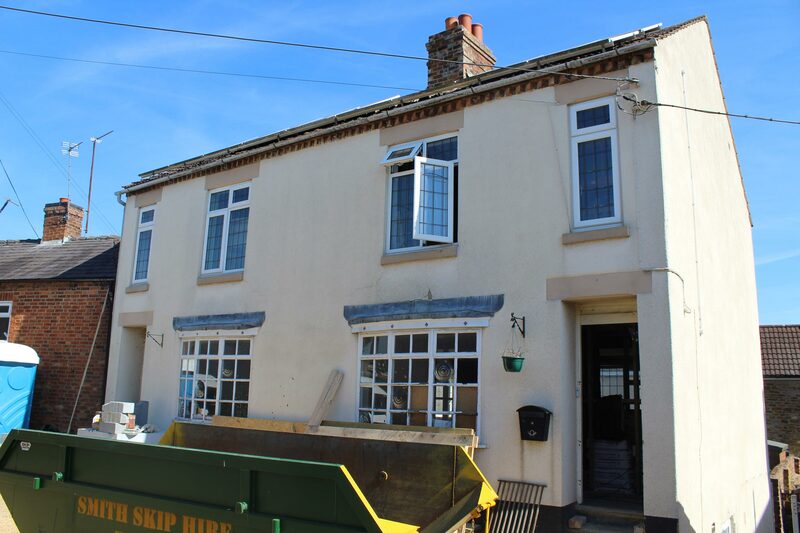 These jobs have been mainly repair, and replacement where necessary, of windows, doors, frames, sills and lintels due to rot. Following our complete satisfaction of the first jobs, we requested further quotes as more work was discovered. The finished repairs have always matched the original appearance, and quotes have always been acceptable. Sometimes outside work has been delayed by the weather – particularly summer 07 – but it has been worth the wait to have very high-quality repair work undertaken. Staff are been courteous and helpful, and work areas have been left clean and tidy, with all rubbish removed. Now that most of the improvements and conversion works on our property are complete I am merely writing on behalf of Joy and myself to thank you for your help. I have been in the building industry all my life and feel that your work and expertise was of a particularly high standard and your prices for various jobs competitive and realistic. You also showed a positive attitude and no job, however, complicated was a problem you seem to want to find a solution. I have no doubt that your business will be a tremendous success and would not hesitate in using your firm’s services if required at any time in the future. 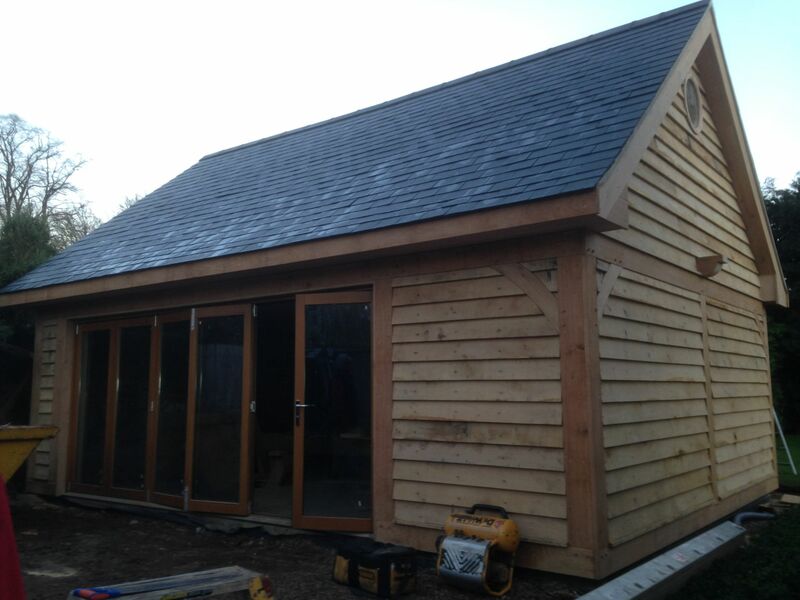 We are extremely pleased with the wooden garage doors you made and fitted for us. They have really enhanced our property. 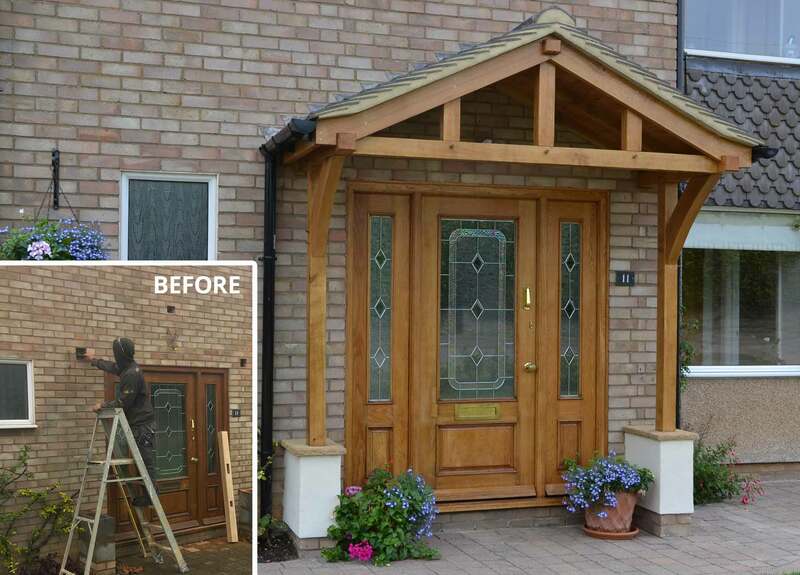 We feel the level of workmanship you provided to be excellent; the doors are strong, well made and finished beautifully – it’s a pleasure opening and closing them! The initial quote was provided promptly and was very competitive. Your team worked hard and finished the job quickly, leaving the work area clean and tidy. We would highly recommend this friendly, efficient and hardworking team of craftsman. Thanks John, I’ve paid this just now, and I wanted to say a big thank you for all your work. I’ve been really pleased with the work, and the service you’ve provided, you’ve been a pleasure to deal with and I really appreciate that. Likewise, all of your team have also been a pleasure. I really appreciate everything you’ve done and all the little bits and pieces you have helped with along the way. I think your guys even took my bins up one Friday! I can’t speak highly enough, and I will of course, recommend you wherever possible. © Earls Barton Building Company Ltd.